I’m a fan of fusion and merging but you already know that. 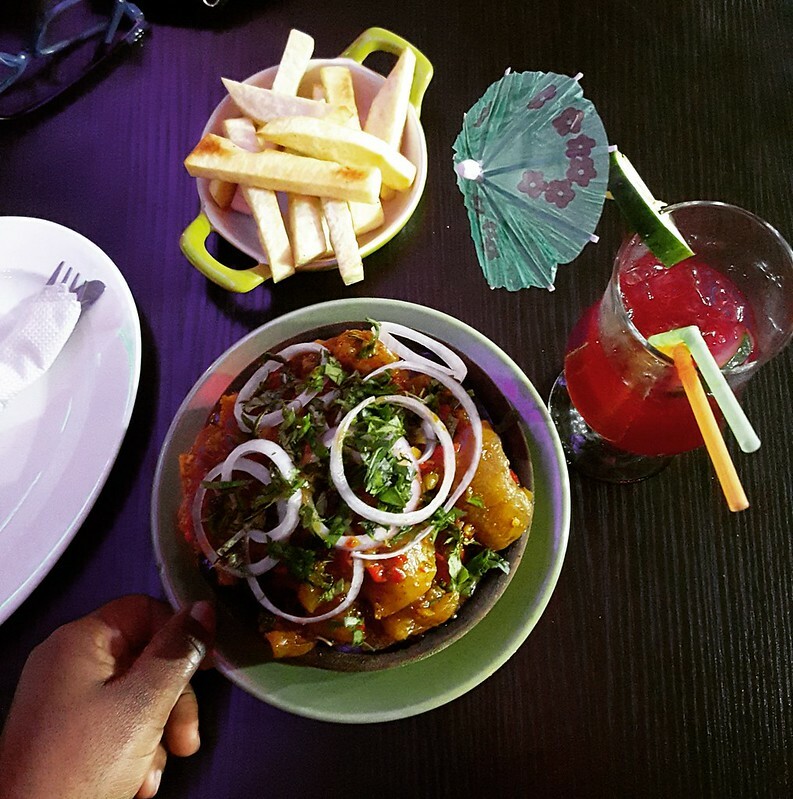 This dish is the result of a night out with M of OmNomLagos at the SAOCafe in Lekki 1, Lagos. Can I just say I love SAOcafe? It is a beautifully designed space. Before I went there, two friends on separate occasions in the space of a single weekend raved about the Nkwobi leaving me no choice but to make it a priority. 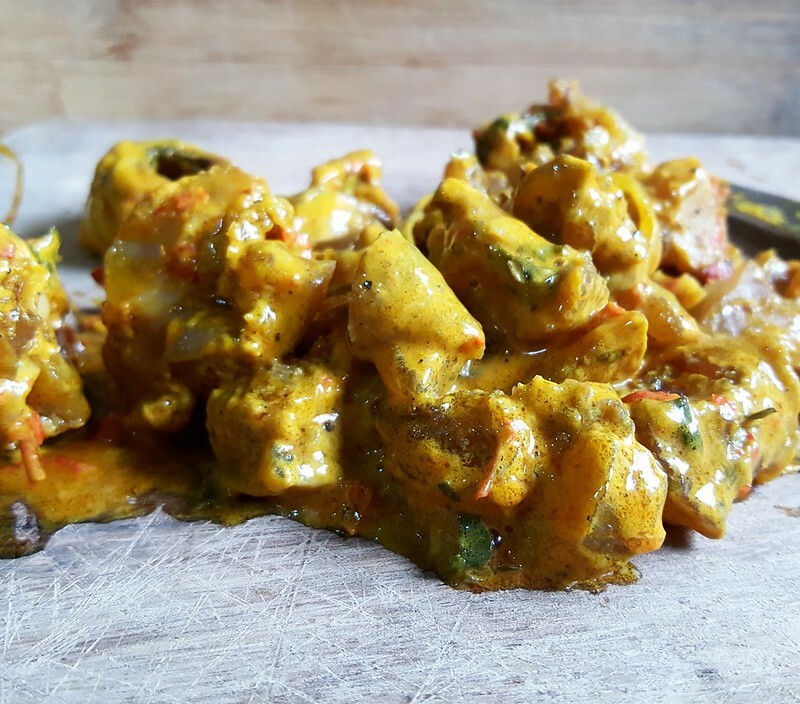 Nkwobi, Isiewu, gizzards, stews with tripe etc are Nigerian nose-to-tail eating. And boy, these dishes totally slay. The combination of meat and spices, beautifully cooked to play on the textures is everything. So what is Nkwobi? 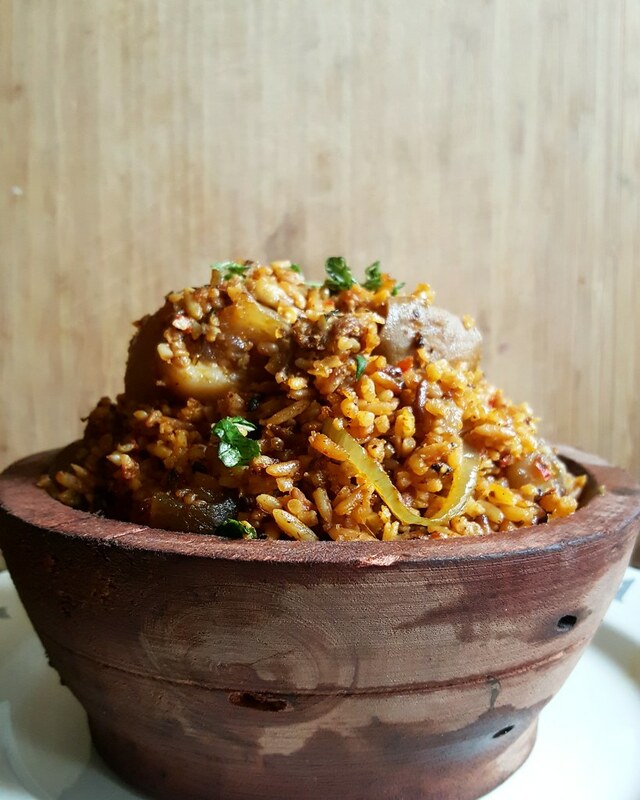 Nkwobi is a dish of cow foot cooked in a spicy palm oil paste. It is normally served in a shallow wooden bowl that reminds me of a mortar but…. Fresh rings of red onions and Utazi, a bitter herb are often used to garnish it. Cut up the Nkwobi into bite-sized pieces. Heat up in a pan with a little oil. 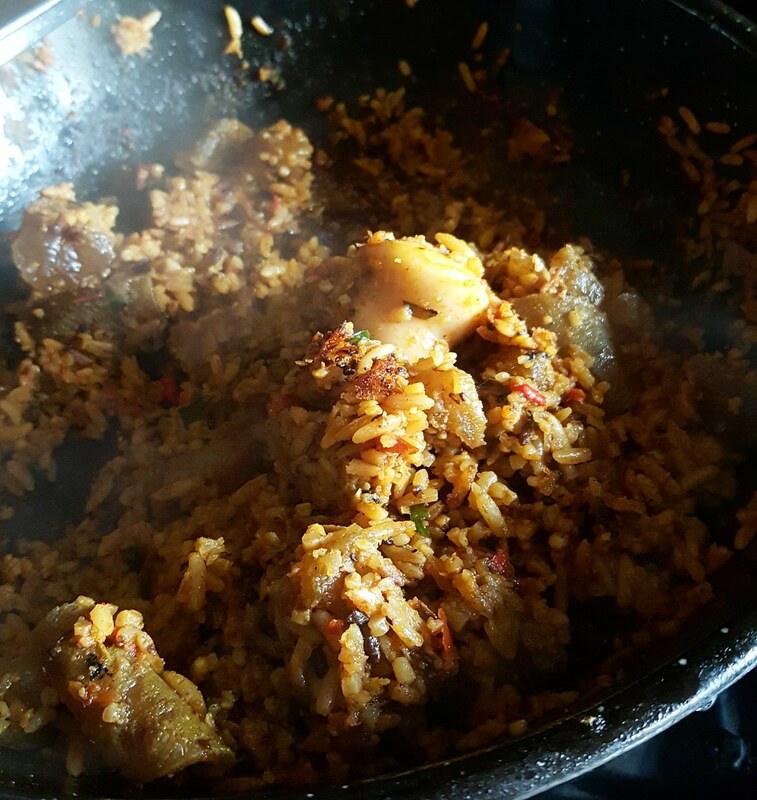 When hot, add Jollof rice, the Nkwobi sauce, thinned with a little water if necessary. Let cook on medium heat, stirring till the mix is hot all the way through. Check for salt and adjust if necessary. Finish with a chiffonade (or shredded) scent leaves. Serve in the traditional dish or how you like. It was lovely. The chewy, crunchy texture of the cow leg, the spice, the Jollofffffffffffffffff, everything was yum. Definitely one to make again.